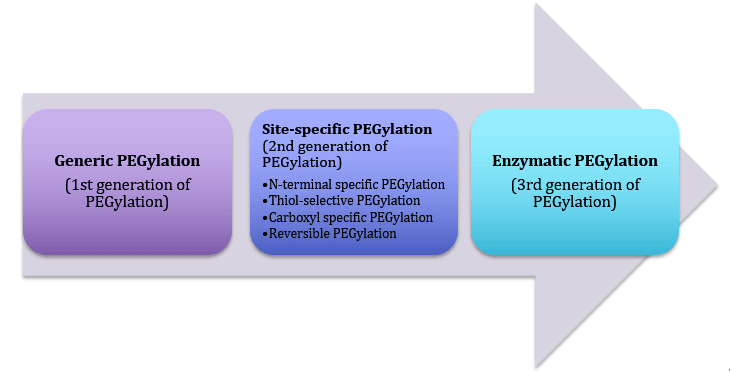 As a leading biotechnology services supplier, Creative BioMart offers synthetic polymer PEG modification and bioconjugation services on peptide/proteins, oligonucleotides, antibodies, lectins, enzymes, toxins, drugs or other small molecules for a variety of applications. With our expertise as a leader in the field of PEGylation, Creative BioMart can offer you a set of new technologies. 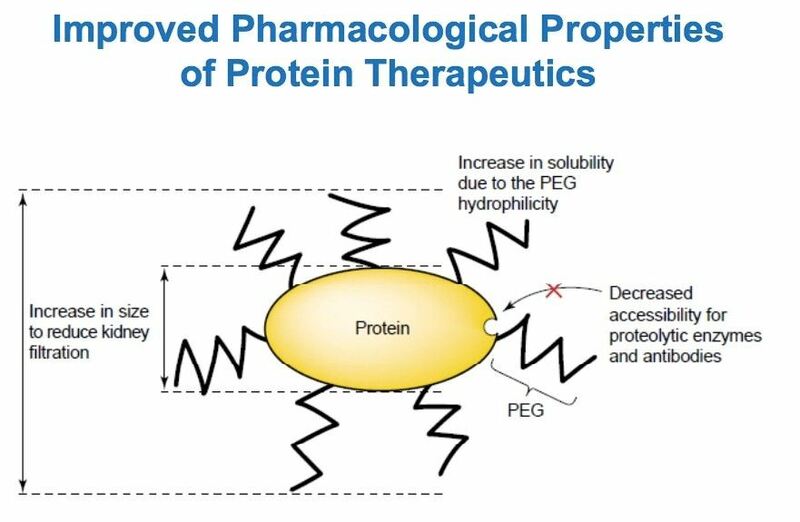 Creative BioMart offers a range of PEGylation technologies for your choice, which can be used with different molecular weight PEGs, in linear and branched formats. We PEGylate your molecular and deliver PEGylated product with a certificate of analysis. Creative BioMart’s PEGylation services are tailored for each project to ensure the objectives are met. Our expert project teams are assigned to each study focusing on progressing projects through to results in the minimum amount of time.